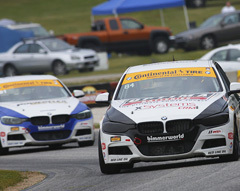 Thanks to a home track advantage, BimmerWorld Racing entered this past weekend’s Biscuitville Grand Prix at VIRginia International Raceway with high expectations. Both BimmerWorld BMWs were in the top ten in championship points heading into the weekend’s IMSA Continental Tire SportsCar Challenge race. As usual, racing luck, penalties, cautions, and always-surprising VIR weather played a big part in the strategy and outcome to round eight of the 10-race series. After capturing the pole in qualifying, the leading BMW team in the ICTSC series was proud to put their F30 BMW 328i on the ST class podium for the seventh time in eight races. The race was not as bright for the team’s GS class entry with a tough battle to 19th place after an unexpected component failure. Nick Galante, of Greenfield, Mass. qualified the No. 81 Veristor/Legistics BMW 328i (F30 chassis) on the ST class pole with a time of 2:04.987, procuring the BimmerWorld team’s seventh pole in eight races and his fourth. BimmerWorld Racing team owner/driver James Clay of Blacksburg, Va. qualified the No. 82 OPTIMA Batteries BMW M4 GT4 in sixth place in the GS class with a time of 1:54.528. He had a masterful race start and immediately jumped up to third place on the first lap. Starting the race under the threat of rain, the skies opened up shortly after the fourth lap of the two-hour, 59-lap race, as rain came down over much of the 17-turn circuit. By the fifth lap, it was raining heavily and many competitors pitted for rain tires; however, a number of drivers elected to stay out a bit longer to see if the rain would subside. BimmerWorld was one of the teams that elected to leave both BMWs on track and let the drivers manage the slippery track conditions on dry-weather Continental tires. Galante was able to maintain the ST class lead and Clay jockeyed near the front of the field as cars slid off around him. Clay’s best lap time came on lap 3 with a time of 1:55.804, the fastest turned in the No. 82 entry. By lap 11, the sun was peaking back through the dark clouds and Clay was running a commanding third-place in GS while Galante continued the ST class lead. On lap 21, 45 minutes into the two-hour race, Clay felt a vibration and had problems while braking and pitted with three rolling wheels, with the forth being dragged as a result of sheared wheel studs. Although they knew their chance for victory had eluded them, points towards the championship were still an important factor, so the BimmerWorld crew went to work making the needed repairs to get the BMW M4 GT4 back on track. On lap 39, 18 laps after they pitted, Tyler Cooke, of Ft. Lauderdale, Fla., took the car back on track. Even though they weren’t able to run at full race speeds, Cooke nursed the injured car for the balance of the race and eventually crossed the finish line 19th in the GS class. Meanwhile, Galante stayed on track until lap 30 when he pitted for tires, electing to switch to rains as the skies started to open up again, as well as fuel and a driver change to Devin Jones of Mooresville, N.C. Galante’s fastest lap came before the rain, on lap 3, with a time of 2:06.482. Jones started his stint in fourth place, one lap down from the ST class leader. On lap 38 with over 38 minutes remaining, Jones passed the No. 37 MINI of Derek Jones (no relation) for third place in ST. Then on lap 45, with 25 minutes left, as the track dried, Jones’ rain tires started deteriorating and the left front tire eventually went flat and required a pit stop for a tire change under green-flag conditions. Although he lost valuable time with the additional pit stop, being out on fresh tires allowed Jones to click off some good times once back on track. His fastest lap came on lap 52 with a time of 2:05.301. Jones crossed the finish line in fourth place. However, the first place ST class competitors received a post-race technical infraction, allowing the entire class of ST cars to move up one position. Additionally, the third-place finishers were assessed a drive-time infraction, and so the No. 81 Veristor/Legistics BMW 328i (F30 chassis) of Jones and Galante was then awarded second-place honors and the points to match, keeping them comfortably in first place in the ST point championship with two races remaining. The penultimate round for the 2018 season will be held at WeatherTech Raceway Laguna Seca on September 8 followed by the finale at Road Atlanta on October 12. 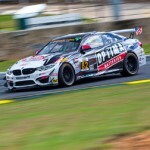 The Dublin, Va.-based BimmerWorld Racing team is ready to return to VIRginia International Raceway, it’s home track, for the IMSA Continental Tire SportsCar Challenge series and collect more valuable points in its quest for the series championship. The Biscuitville Grand Prix, a 2-hour race at the 3.27-mile, 17-turn VIR road course on Saturday, August 18, will be the eighth round of the 10-race Continental Tire series. BimmerWorld Racing’s Nick Galante of Greenfield, Mass. and Devin Jones of Mooresville, N.C., drivers of the No. 81 Veristor/Legistics BMW 328i (F30 chassis), lead the ST class points championship by 11 points heading into the weekend. BimmerWorld Racing team owner/driver James Clay of Blacksburg, Va. and Tyler Cooke of Fort Lauderdale, Fla. drive the No. 82 OPTIMA Batteries BMW M4 GT4 and are currently in fourth place, just eight points out of the GS class points championship lead, so all eyes are still on the championship. The BimmerWorld team considers VIR their home track, as their shop is only about 100 miles away. Clay, who founded BimmerWorld in 1997, started coming to the track after Connie Nyholm and Harvey Siegel reopened its gates in 2000 under the “country club” model. Using the multi-faceted road course for testing and racing (as well as down-time recreation at the karting track and various shooting ranges) has become a common activity for his local BimmerWorld team. VIR is also a circuit where the team performs well. 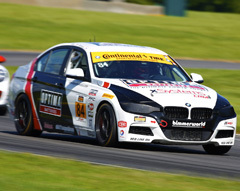 Last year BimmerWorld Racing had one of their best races of the year at VIR when Clay qualified on the pole, and he and Cooke finished second on the podium while the second team entry finished fifth. Galante and Jones have dominated in the ST class this season with three victories and six podiums in seven races. Meanwhile, in the ultra-competitive GS class, Clay and Cooke have captured three podiums in seven races but are still seeking that elusive victory and are hoping for a home track advantage this weekend. The team feels getting the car setups sorted out early will be a relatively easy task given their knowledge of the track. Adding another enhancement for them is the fact that many family, friends, and sponsors are expected to come out to the Biscuitville Grand Prix race to cheer on their favorite team. The added boost of team spirit and pride to bring home victories for both BMWs in both classes and write a storybook ending for their home track race weekend are prominent on their minds as they eagerly reach for maximum points towards their championship effort. Practice begins on Friday, August 17 at 9:40-10:40 a.m. and from 3:20-4:05 p.m., followed by ST qualifying from 7:10-7:25 p.m. and GS qualifying from 7:30-7:45 p.m. Pre-race and Fan Walk activities are from 1:20-2:05 on Saturday with the two-hour Biscuitville Grand Prix race scheduled from 2:15-4:15 p.m.
Live video coverage and live timing and scoring of the race will be offered on imsa.tv and imsa.com. The race will also air on FOX Sports 1 on Sunday, August 26 from 12:00-2:00 p.m. All times are Eastern. Share some of your thoughts about your home track here at VIR. “I never get tired of driving, testing, and racing at VIR. It’s one of my favorite tracks with an amazing layout to drive. There is simply no piece of pavement in the world as challenging and rewarding as the Uphill Esses, and there are over three miles of sections that are similarly awesome to drive and race. With a variety of scenic vantage points, it’s also one of the best tracks in the U.S. for spectators to watch a race. As the end of the season is just three races away, share your thoughts on the Continental Tire SportsCar Challenge series this year and what you’re focusing on. BimmerWorld usually does some fun stuff at VIR each year for family and friends. What’s on the agenda this week? VIR is not always a strong BMW track. Do you think you can overcome that by your familiarity with the circuit as your home track and testing facility? What’s your favorite part of the VIR circuit? How have you enjoyed competing in the GS class in the new BMW M4 GT4 this year? As the season is drawing to a close how important will these last three races be? You and Devin have a good lead in ST points. Do you have confidence you can stay on your success path at VIR and through the end of the year for your championship hunt? Do the VIR fans appreciate that you’re a Virginia-based team? How have you enjoyed competing in the ST class in the BMW this year? We’re closing in on the final races of the season now. How important will these last three races be? What do you expect to be the most challenging thing this weekend? You and Nick have a good lead in ST points. Do you have confidence you can stay on your success path at VIR and through the end of the year for your championship hunt? How have you enjoyed competing in the ST class this year? 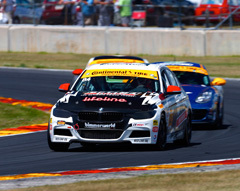 BimmerWorld Racing hopes for some good luck for the home team as the IMSA Continental Tire SportsCar Challenge visits its home track of VIRginia International Raceway in Alton, Va., for a 2.5-hour race on Saturday. 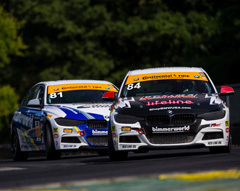 The Dublin, Va.-based team will field two turbocharged BMW 328i (F30 chassis) race cars in the event, which will be covered live on imsa.com and imsa.tv. The green flag is scheduled to drop at 1:55 PM Eastern time. James Clay, who founded BimmerWorld in 1997, and Tyler Cooke will share the team’s No. 84 OPTIMA Batteries BMW 328i. Jerry Kaufman and Kyle Tilley are the co-drivers of the No. 81 BimmerWorld BMW 328i. The home team’s drivers have some interesting insights on the nearly 3.27-mile road course and its 17 very diverse turns. The VIR circuit first opened nearly 60 years ago and has raced in its current configuration since 2000. 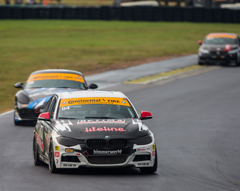 The BimmerWorld team hopes to provide some thrilling action at VIR this weekend along with showing their fans and guests some true Southern hospitality. VIR is your home track. Do you expect many customers to attend? Are you planning anything special for them at this event? How many different kinds of cars have you competed in at VIR over the years? How well do you think the BMWs are suited for VIR? If you had to pick your favorite turn at VIR, which one would it be, and why? How will the fairly new paving at VIR change things? Do you have any favorite restaurants or activities you like to do in the area in addition to racing? What is your history at VIR? If you had to pick your favorite turn at VIR to drive, which one would it be, and why? You and James are tied for sixth in the point standings with three races remaining. Are these next three tracks (VIR, COTA and Road Atlanta) strong venues for your BMW? Why or why not? What is your past experience at VIR? What is your favorite turn at VIR to drive, and why? You won your class in the 13-Hour race here last year. Does that experience help you at all for this coming event? You’re coming to VIR with a rebuilt car following the Road America crash. What kind of improvements are you looking forward to having for this race? Do you have any ties to the area? Do you have any ties to the area? How often do you get to the BimmerWorld shop in Dublin, Va.? You talked about the VIR circuit having fast parts where you can pass and some where you can’t. Talk about the circuit layout and those areas for passing and not. 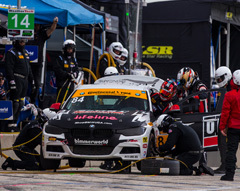 The Virginia-based BimmerWorld team was looking forward to a successful race at their home track, and in many ways, the strides made by the BMW aftermarket and tuning specialists during the event were exceptional. Prodigious speed demonstrated in practice and again qualifying with the new BimmerWorld-developed turbocharged BMW 328i had team owner/driver James Clay feeling optimistic for race day with the German brand’s F30 platform. 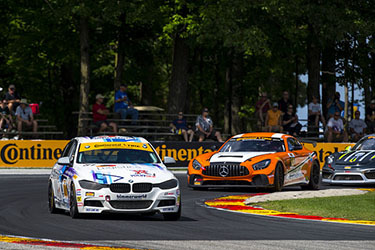 IMSA’s Continental Tire Series has given the team great opportunities to showcase the F30’s performance attributes, but the 2.5-hour contest at VIR delivered more frustration than fruitful outcomes for Clay’s two-car program. With the No. 81 BimmerWorld BMW 328i driven by Andrie Hartanto and Tyler Cooke starring in time trials, and Clay and teammate Jason Briedis following suit in the No. 84 OPTIMA Batteries BMW, the best results were captured prior to the race. 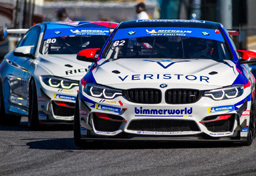 BimmerWorld races to develop next-generation performance parts for BMW owners, and as VIR proved, a brand-new racing platform like the F30 can present the team with learning opportunities in various forms. And when those lessons take the form of problems, Clay’s staff of engineers and technicians are quick to turn the information into revisions and upgrades. With two races left to run in 2015, Clay says BimmerWorld will use the time between VIR and Circuit of The Americas on Sept. 18 in the Lone Star state to bring the team’s F30s closer to Victory Lane. It’s another homecoming race for the BimmerWorld team as IMSA’s Continental Tire Series descends on Virginia International Raceway. 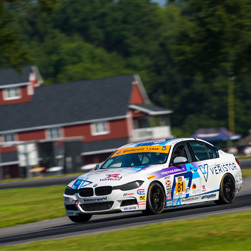 The Dublin, Va.-based BMW aftermarket and tuning experts have turned countless miles at VIR during major development programs for numerous chassis platforms, and with the latest IMSA race in their backyard, they’ll get to race in front of a highly supportive crowd. BimmerWorld returns to race at VIR with a pair of brand-new turbocharged BMW 328is which are built on the German marque’s F30 platform. Clay and teammate Jason Briedis will pilot the No. 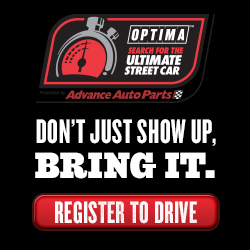 84 OPTIMA Batteries BMW, and Tyler Cooke and co-driver Andrie Hartanto will represent the team in the sister No. 81 entry. Competing exclusively with the BimmerWorld-built F30s for the first time at VIR is an important milestone after the team developed, campaigned and won with BMW’s E90 platform for almost a decade. As Clay’s team did with the E90s, the F30s have been subjected to intense R&D and constant refinement as BimmerWorld uses its racing endeavors to tailor high-performance products for its customers. “The F30 has made wonderful strides this year, and while we still have turbo development in the works which will be the completion of the ‘full package’ and allow us to deal with the heat the engine generates, we have a solid package,” said Clay. For Jason Briedis, who’s close to completing his second season of Continental Tire Series action, the chance to race at VIR is regarded as a special occasion. The technical, undulating road course is housed within Virginia’s lush countryside, making it a treat to view from inside the car, and with its high average speed, Briedis says completing a quick lap around the 3.27-mile facility requires great precision.